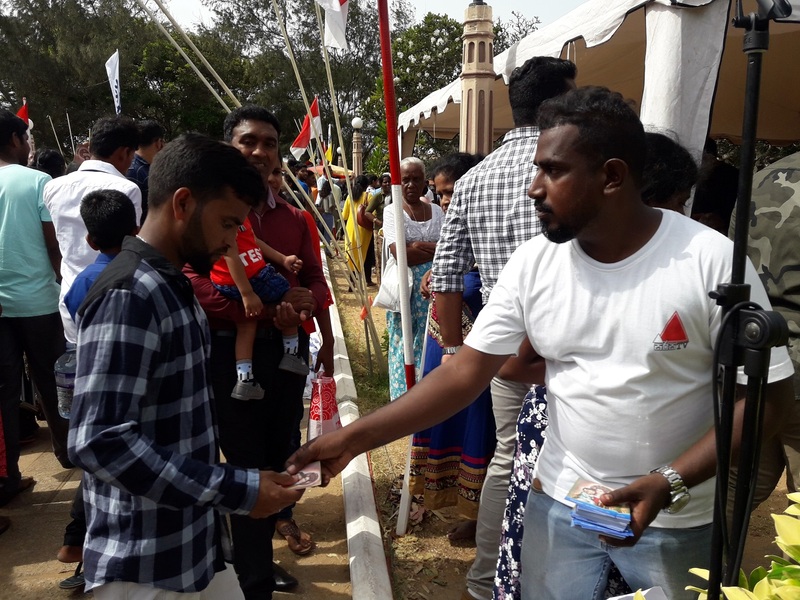 The annual feast of St. Ann’s Church Thalawila was held on 5th august 2018 with the participation of thousands of devotees, where S-lon took the initiative to distribute 100,000 prayer cards to attendees of the mass. The event was presided by Bishop Devsritha Valence Mendis (Bishop of Chilaw) and Bishop Christian Noel Emmanuel (Bishop of Trinco). As a corporate entity that actively promotes religious and social cohesion, we are grateful to have facilitated prayer cards to the pilgrims. St. Anne’s Church in Talawila is one of the most ancient and wonderful of all Christian shrines in Sri Lanka. Thousands of pilgrims flock during the Christmas season, in March and August feast to this amazing place of solitude and solace.